OLD PARKED CARS. 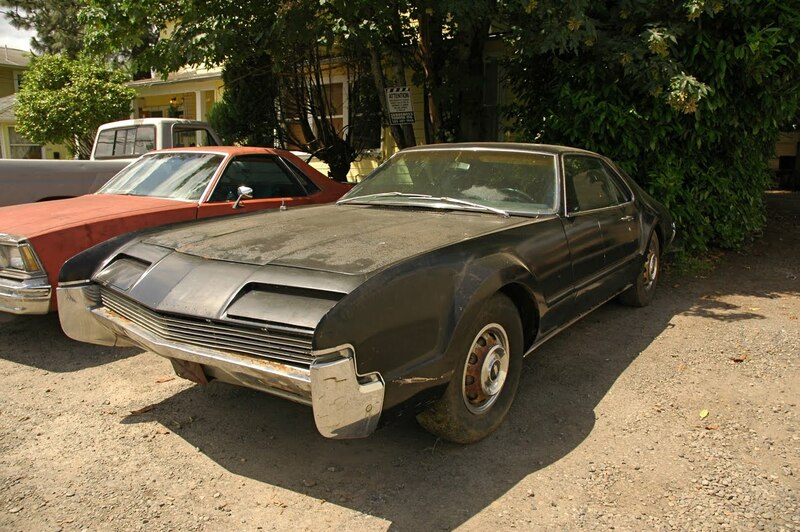 : 1966 Oldsmobile Toronado. 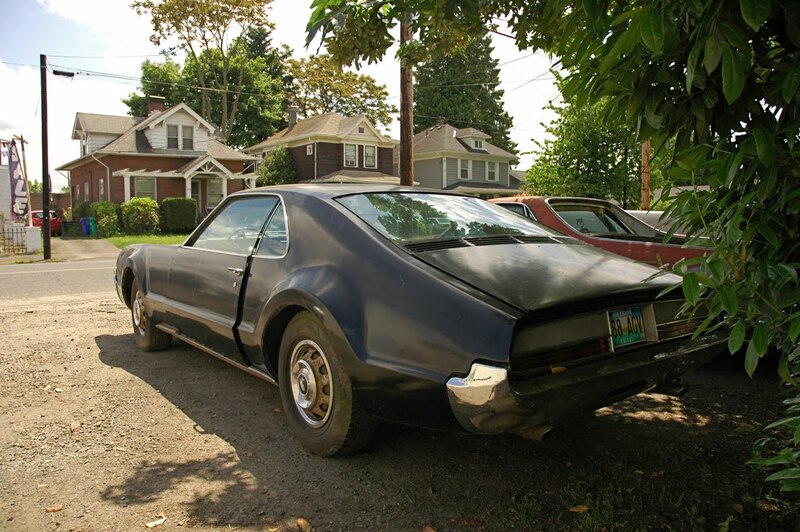 This car was a bit of an automotive flop. 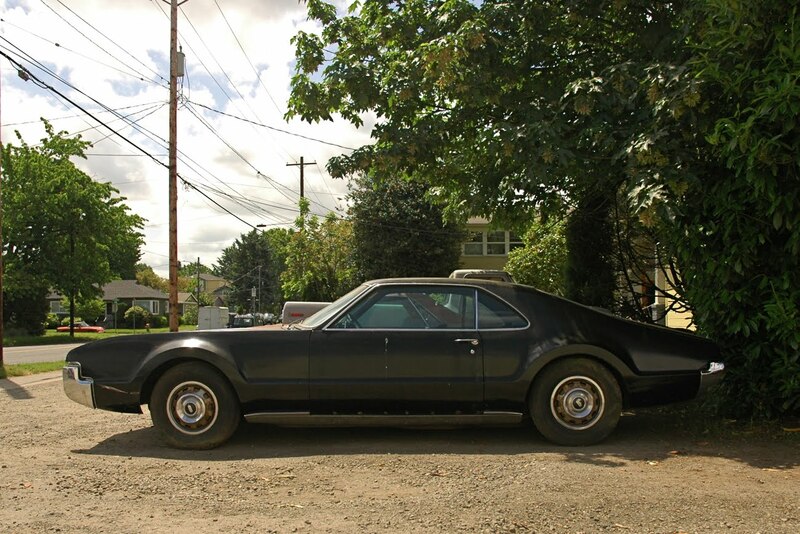 When creating a new "personal luxury car" for its Oldsmobile division, GM decided to try something new, something distinctive: front-wheel drive. This was the first car produced in the U.S. to have front-wheel drive since the 1937 Cord; another flop, but an elegant flop. 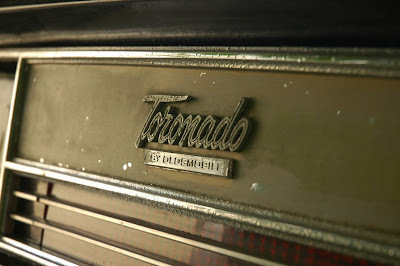 The Toronado was...well, not as elegant. Its styling was awkward and quirky, and the American people were not pleased. Despite its power (385 horsepower from a 425 cu in V8) and performance (0-60 in 7.5 seconds and a top speed of 135 mph), buyers went with the more traditional Buick Riviera and Cadillac Eldorado, and by 1971, the Toronado had morphed to be just another huge, bland 70's coupe. 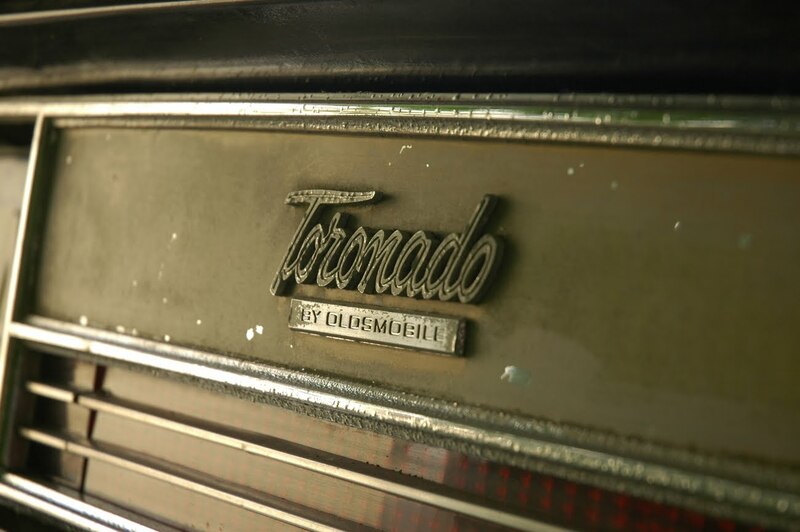 Not unlike the Empire State Building, the Toronado's monumental size is an important part of its look and its presence. I just don't see how a coupe can be both huge and bland anymore - in 2011, how big the car is keeps it from being bland. A gold 66 T was the first car I ever drove. 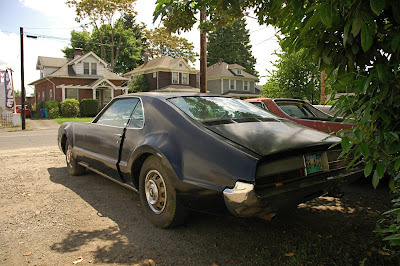 I learned to drive on it.My dad had the only one in the area for a while and believe me, it turned heads!! !